Did someone you love suffer elder abuse or neglect at Chapin Center? Our lawyers can help. Chapin Center is a for non-profit, 160-bed Medicare/Medicaid certified skilled nursing facility that provides services to the residents of Springfield, Chicopee, West Springfield, Agawam, Ludlow, East Longmeadow, Longmeadow, Holyoke, Wilbraham, South Hadley, and the other towns in and surrounding Hampden County, Massachusetts. As of 2017, Chapin Center in Springfield, Massachusetts received a rating of 2 out of 5 stars. The Federal Government fined Chapin Center $1,950 on Febuary 11, 2015 for health and safety violations. Based on interview and record review, the facility staff failed to ensure the accuracy of the Minimum Data Set (MDS) Assessment for 2 residents (#1 and #2) in a total sample of 24 residents. residents. Findings include: 1. For Resident #1, the facility staff failed to ensure the accuracy of a Quarterly MDS Assessment relative to the coding of falls. Resident #1 was admitted to the facility in 2/2017 with [DIAGNOSES REDACTED]. Review of the clinical record indicated the resident sustained [REDACTED]. Review of the 5/19/17 Quarterly MDS Assessment indicated the resident had one fall with no injuries. During an interview on 8/24/17 at 1:45 P.M., MDS Nurse #1 said the 5/19/17 Quarterly MDS was coded incorrectly and should have indicated the resident had no falls since the prior assessment of 2/24/17. 2. For Resident #2, the facility staff failed to ensure the accuracy of the Admission MDS Assessment and 2 Quarterly MDS Assessments relative to the resident interviews for Brief Interview for Mental Status (BIMS) and Mood. Additionally the facility staff failed to ensure the accuracy of 2 Quarterly MDS Assessments relative to the administration of an antipsychotic medication. Review of the MDS Manual indicates the resident interviews should be attempted if the resident is coded as understood, usually understood or sometimes understood. Resident #2 was admitted to the facility in 9/2016 with [DIAGNOSES REDACTED]. A. Review of the 9/15/16 Admission MDS and the 3/13/17 Quarterly MDS Assessment indicated the staff assessments were completed for the BIMS and Mood. The resident was coded as always understood. Review of the 6/10/17 Quarterly MDS Assessment indicated the staff assessments were completed for the BIMS and Mood. The resident was coded as sometimes understood. During an interview on 8/24/17 at 2:10 P.M., Social Worker #1 said the BIMS and Mood resident interviews should have been attempted because the resident had been coded as understood and/or sometimes understood. B. Review of the 3/2017 and 6/2017 Medication Administration Records (MAR) indicated the resident was administered [MEDICATION NAME] (an antipsychotic) daily as ordered. Review of the 3/13/17 and 6/10/17 Quarterly MDS Assessments, (Section N/N0400A) indicated the resident had received an antipsychotic medication for the last 7 days. Review of the same Quarterly MDS Assessments, Section S (Question S6232), indicated the resident was coded as not currently receiving an antipsychotic medication. During an interview on 8/24/17 at 1:50 P.M., MDS Nurse #1 said Section S was coded incorrectly and should have indicated the resident was currently receiving an antipsychotic medication daily as ordered. Failed to make sure that residents are safe from serious medication errors. 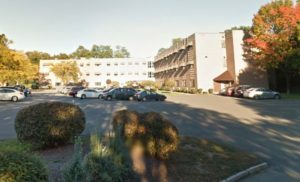 Based on record review and interview, the facility staff failed to ensure one Resident (#22) out of a total sample of 24 residents, was free from a significant medication error. Review of the facility Medication Administration General Guidelines, dated 12/12, indicated that prior to administration, review and confirm medication order for each individual resident on the Medication Administration Record [REDACTED] Resident #22 was admitted to the facility in 6/2017 with [DIAGNOSES REDACTED]. Review of the 6/2017 Medication Administration Record [REDACTED]. [MEDICATION NAME] was scheduled to be given 6:00 A.M., 2:00 P.M. and 10:00 P.M.
Review of a Nurse Notes, dated 6/25/17, indicated the resident was given a dose of Meropenem (antibiotic) 1000 mg (milligrams) IV, instead of the scheduled [MEDICATION NAME] IV antibiotic. During an interview on 8/25/17 at 1:55 P.M., Nurse #4 said there were 2 different IV antibiotics on a shelf in the medication room when she went to obtain the IV antibiotic and prepare to administer. She said she did read the label on the IV bag but she did not double check the label when she went to hang the infusion. She said she realized a medication error had occurred when she went to flush the resident’s Peripherally Inserted Central Catheter (PICC) line after the antibiotic had finished infusing. She said she self reported the medication at that time. Further review of Progress Notes indicated the resident did not experience any allergic or adverse reaction. The resident was monitored and remained at baseline. Medication error incident was reported to the resident, resident’s Health Care Proxy (HCP), on call nursing manager and on call doctor. Review of the In-Service Training Record, dated 6/26/17, indicated Nurse #4 received inservice training on the 5 Rights of Medication Administration. **NOTE- TERMS IN BRACKETS HAVE BEEN EDITED TO PROTECT CONFIDENTIALITY** Based on observation and interview, the facility staff failed to ensure that medications were of current date to provide reliability of strength and accuracy of dosage on 2 of 4 units observed. 1 a. During an inspection of the Chapin 4 Unit Back Hall medication cart on [DATE] at 9:15 A.M., one vial of Lantus (long acting ) insulin for a specific resident was found with an opened date of [DATE]. In addition, one vial of Novolog (rapid acting) insulin for a specific resident was found with no open dated documented. Review of the 2016 Nursing Drug Handbook indicated the following relative to Lantus and Novolog Insulins: Opened vials not refrigerated, must be used within a 28 day period or they must be discarded., whether refrigerated or not. Review of the facility Storage of Medication Policy, dated ,[DATE], indicated to note the date on the label for insulin vials and pens when first used. During an interview on [DATE] at 9:20 A.M., Unit Manager (UM) #2 said the Lantus Insulin was expired and she removed it form the cart. During an interview on [DATE] at 9:20 A.M., Nurse #1 said the Novolog Insulin vial did not have a documented open date and discarded the vial. b. During an inspection of the Chapin 4 Front Hall medication cart on [DATE] at 9:45 A.M., one bottle of Saline Nasal Spray for a specific resident was found with an illegible open date listed. Review of the facility Pharmacy P & P Regarding Expiration Dates-OTCs (Over the Counter), undated, indicated Saline Nasal Spray has a shelf life of 60 days after opening. During an interview on [DATE] at 9:50 A.M., Nurse #2 said the Saline Nasal Spray had an illegible open date listed and she discarded the bottle. 2. During an inspection of Chapin 2 Back Hall medication cart on [DATE] at 11:50 A.M., one bottle of Saline Nasal Spray for a specific resident was found with an open date listed as [DATE] and one undated open bottle of Saline Nasal Spray for a specific resident. During an interview on [DATE] at 11:55 A.M., Nurse #3 said the Saline Nasal Spray with an open date of [DATE] was expired and the undated open Saline Nasal Spray should have an open date listed. Nurses #3 discarded both bottles. **NOTE- TERMS IN BRACKETS HAVE BEEN EDITED TO PROTECT CONFIDENTIALITY** Based on observation, staff interview and review of facility policy, the facility failed to ensure that facility staff followed proper infection control practices for the prevention and spread of infection. 1. The facility staff failed to ensure proper infection control practices were followed after completing a fingerstick blood sugar. On 8/22/17 at 4:15 P.M., while on the Chapin 2 unit the surveyor observed Nurse #5 at the nurses station with gloves on on the telephone. Nurse #5 was observed to be holding the phone receiver to his ear with his right gloved hand. In the Nurses left gloved hand was a glucometer with a used test strip inserted into the glucometer. The Nurse was then observed to put the call on hold and walk behind the nurses station and open a cabinet that housed the resident clinical records. He obtained a phone number from a list on the back of the cabinet door, closed the cabinet door and went back to the phone taking the call off hold picked up the receiver with the right gloved hand and responded to the caller. He hung up the phone and went over to the medication cart located across from the nurses station removed the used test strip from the glucometer and disposed of it in the trash receptacle on the medication cart. He then removed his gloves and washed his hands using alcohol gel. The nurse then proceeded to place the glucometer back into the medication cart without cleaning. He then removed the meter from the medication cart and cleaned it with alcohol wipe(s) and not an Environmental Protective Agency (EPA) approved wipe per manufacturer. During an Interview with Nurse #5 on 8/22/17 at 4:20 P.M., he said that he should have removed his gloves and washed his hands in the bathroom after completing the fingerstick blood sugar test and disposing of the used test strip. He further said that he should have removed the gloves and completed hand hygiene before answering the phone. During an interview with Unit Manager (UM) #1 on 8/23/17 at 3:00 P.M., she said the nurse should have gone to the resident’s room completed the finger stick blood sugar disposed of the used strip and gloves and washed his hands. She further said that he should have cleaned the glucometer after use with the bleach wipe. During interview with the facility staff development coordinator on 8/23/17 at 3:30 P.M., she said that the facility uses the Lippincott Manual regarding technique for completing blood glucose monitoring. 2. For Resident #4, the facility staff failed to utilize infection control practice while preparing an insulin injection. Review of the Medication Administration Subcutaneous Insulin Policy, dated 5/16, indicated to prepare injection and swab rubber cap of vial with microbial swab. During an observation of the medication pass on 8/23/17 at 8:00 A.M., the surveyor observed Nurse #1 prepare a subcutaneous insulin injection of [MEDICATION NAME] Insulin 15 units. Nurse #1 did not swab the rubber cap of the insulin vial with a microbial agent prior to withdrawing the insulin. During an interview on 8/23/17 at 8:02 A.M., Nurse #1 said she could not recall if she swabbed the rubber insulin vial cap with a microbial agent and discarded the insulin syringe. Nurse #1 prepared another dose and utilized an alcohol swab for the rubber insulin vial cap. Based on record review and interview the facility staff failed to ensure that a laboratory results are provided to the facility (or resident’s physician) within a timeframe normal for appropriate intervention for one resident (#14) in a total sample of 24 residents. Resident #14 was admitted to the facility in 7/2016 Diabetes Mellitus. Record review indicated the resident had multiple lab tests completed on 6/10/17 including an A1C test. Review of the clinical record indicated lab results from the 6/10/17 tests were in the record on a lab report slip noted as preliminary report, the A1C test indicated the results were pending. During an interview with the UM # 1 on 8/23/17 at 4:00 P.M., she said that pending lab results were usually sent to the facility after but that she was unable to find the results for the resident’s A1C test completed on 6/10/17. She further said that she would call the lab for the results.